Five Mass Communication students at the College could innovate a fire detection device using embedded systems. 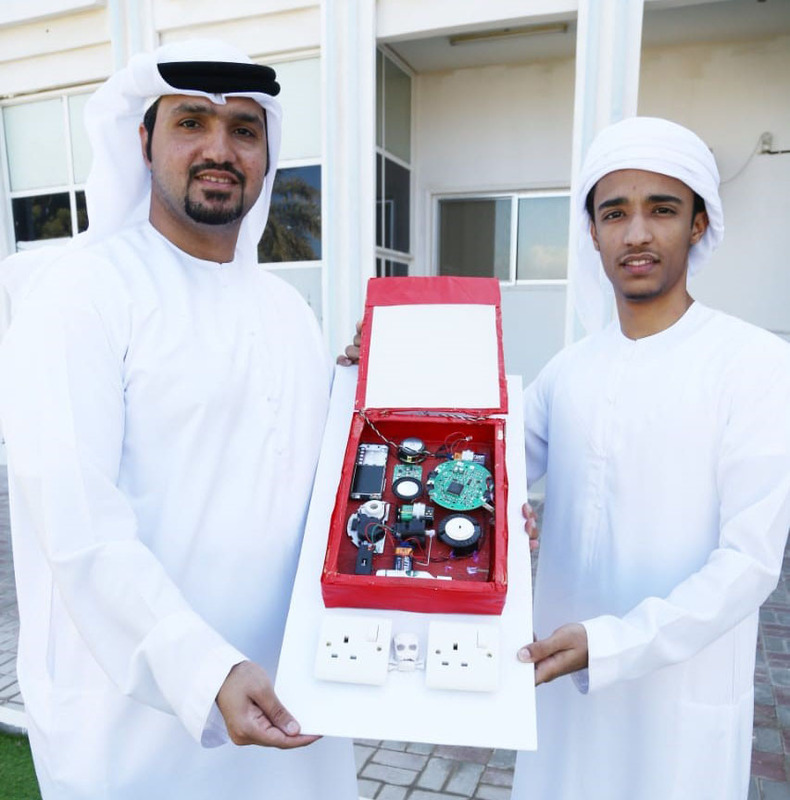 Mohammed Saeed bin Rabiea , A student in Mass Communication Department, said " The smart device consists of a wooden box with heat sensors, and a bag of powder approved and used by civil defense department for extinguishing fire . This device is provided with a distinctive smell aimed at enabling people of determination, particularly, blind ones to distinguish it in case of a fire. Bin Rabiea added that their innovation operates automatically through the used electronic devices, an electronic plate, battery, and a device as small as the mobile phone provided with a SIM card, in addition to a sensor to detect smoke. The device is placed above the electric switches, and in case of a fire, the box will be opened automatically. And the powder bag will be blown up due to the heat, releasing the powder on the electric switches and extinguishing the fire. Ali Massoud, a New Media Student at ECUC, said «They could create a smart device to extinguish the fire in its early stage », pointing out that the most important feature of the device is the distinctive smell to alert people of determination of the fire. Massoud added that the Department of Civil Defense in Umm al-Quwain had been informed about the innovation and it was impressed with it.